Screen legend Olivia de Havilland, who turns 100 on Friday, is the last surviving star from Gone with the Wind and one of the last great stars of Hollywood’s bygone golden era. 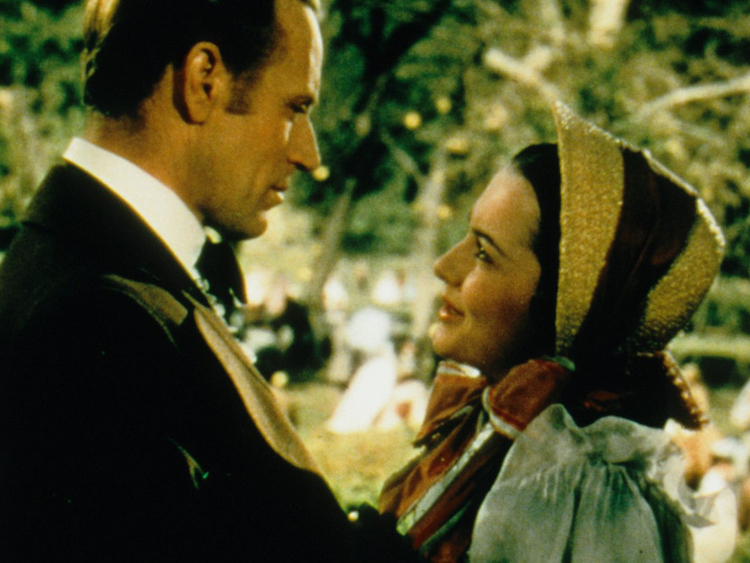 The 1939 box-office blockbuster Gone with the Wind brought de Havilland wide acclaim for her role as the noble, long-suffering Melanie, starring opposite Vivien Leigh and Clark Gable in the US Civil War epic. Her performance as love rival to the fiery Scarlett O’Hara, played by Leigh, led to de Havilland’s first Oscar nod for best supporting actress. The film sealed De Havilland’s reputation as one of Hollywood’s top leading ladies, but with her doe-eyed looks she soon felt frustrated at the roles she was offered, fearful of being typecast as a sweet, innocent young thing. “Playing a good girl was difficult in the 30s, when the fad was to play bad girls,” she once said in an interview. Her screen debut had come as Hermia in A Midsummer Night’s Dream in 1935 after director Max Reinhardt spotted her in a local theatre production of the play. She won accolades for her role opposite swashbuckling actor Errol Flynn in Captain Blood later the same year, and their on-screen chemistry persuaded studio bosses to cast her alongside Flynn in seven other movies. The following year in 1946 she won her first Oscar for her portrayal of Jody Norris in To Each His Own, in an edgier role as an unmarried mother and her heartbreaking struggle to stay near to the child she could never acknowledge. She won her second Academy Award for playing the socially inept spinster Catherine Sloper in The Heiress in 1949. In a real-life Hollywood drama, De Havilland was estranged for many years from her sister, Joan, her junior by a year and a screen legend in her own right. Neither actress has ever spoken publicly about their feud, but in 1941 De Havilland lost out on an Oscar for her lead performance as Emmy Brown in Hold Back the Dawn to Fontaine, who picked up the statuette for Alfred Hitchcock’s Suspicion. Romantically, De Havilland was linked to John Huston, James Stewart and Howard Hughes in the 1940s, but she married novelist Marcus Goodrich in 1946, with whom she had a son, Benjamin.